Dr. Luciano Andrada received his DDS from the Federal University of Santa Catarina in Brazil. After practicing for a number of years, Dr. Andrada decided to move to Boston, Massachusetts along with his wife and son to pursue further education. Dr. Andrada worked at the Forsyth Institute, one of the most well-known oral research institutes in the United States, before attending Harvard University School of Dental Medicine. He earned his Certificate in Periodontology along with his Master of Medical Science in Oral Biology in 2016. In 2018, Dr. Andrada received his US DDS from University of Detroit Mercy after teaching there for two years and decided to make Michigan his home. Dr. Andrada has published several papers in the field of periodontology and implant dentistry. He is a member of the American Academy of Periodontology, American Dental Association, Michigan Dental Association and Michigan Periodontal Association. Dr. Othman received his DDS from Damascus University School of Dentistry in Damascus, Syria. Upon graduation he completed his residency in oral and maxillofacial surgery also at Damascus University. Soon thereafter, Dr. Othman moved to the United States where he completed a fellowship in Periodontics at the University of Michigan School of Dentistry. 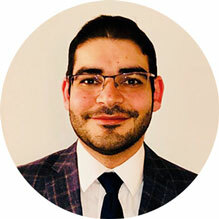 Dr. Othman attended the Graduate Periodontics and Implant Dentistry Residency Program at the University of Detroit Mercy School of Dentistry where he received his certificate in periodontics along with his Master of Science in 2018. Dr. Othman is currently a clinical professor at the University of Detroit Mercy School of Dentistry. He strives to provide high quality multidisciplinary treatment focus on periodontics and implant dentistry. Dr. Othman has published several peer-reviewed articles in the field of periodontology and implant dentistry. 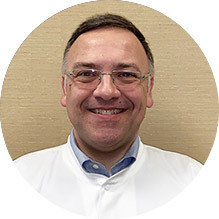 He is a member of the American Academy of Periodontology, American Dental Association, Michigan Dental Association and Michigan Periodontal Association.